Yes, my writing is flawed (and in probably more ways than I’m aware of) but I stumbled upon some interesting feedback. As someone who likes to plan things out, I wanted to make sure I got to know my characters before I toss them into the blender. With my current works, I thought I’d try and create a female lead that readers would like. To some extent, I feel I’ve succeeded in that area. But as I was reminded by a certain reader, characters cannot be perfect. To be interesting, they must have their faults and shortcomings. This was one aspect that I didn’t plan for. I’m at the point where I think I know what her flaws should be but trying to put it down on paper is a very different matter. This called for some revision. Dickens has created enough characters to form a town of his own. Few could forget Betsey Trotwood and her best quote: “Donkeys!”. She is constantly hounded by of good-for-nothing husband that bleeds her of money. Dora Spenlow, the lovely but ultimately foolish girl that David marries. The list goes on. 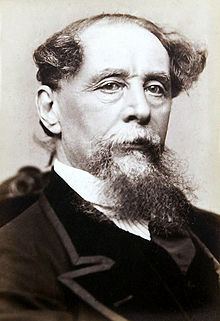 Dickens presented things comically and is no different where human flaws are concerned. He puts it under the spotlight, but is more of an observer rather than a commentator. Whilst Dickens was entertaining, Dostoyevsky was much darker when exploring human imperfections. He had a knack for depravity, corruption and decadence that few could match. I personally preferred this heavier approach. Many of his works (especially Crime and Punishment) explored the unpleasant side of human nature. I’d love to give more examples, but due to my limited knowledge, this is all for now. If you know of any books that did so convincingly, please feel free to contribute. Better yet, tell me how you go about giving flaws to you characters. I end this post by apologising for my poor formating skills. Please forgive me. Unlike many who have read “A Series of Unfortunate Events”, I was well above the age of the intended audience when I went through the thirteen books. Much to my surprise, there were moments in the book that were truly comical and clever. The wordplay, foreshadowing, theme building and suspense were at a much higher level than I had expected to find in children’s literature. To absurdity of all that has happened did not bother me one bit and in fact, made it much more fun to read. Logic, much to my surprise, was not at all necessary to the telling of the story. It went out the window, fell off a cliff and still hasn’t hit the ground by the time I finished the last book. But alas, my love for this series went unrequited. The ending simply left too many holes for me to call it conclusive. It left me wondering what could’ve been if the author had only paced the story better. It’s like serving up a birthday cake one day late. Oh…fate is cruel. Wow, it’s been a while since I’ve last posted. I’ve begun work in the public service and have found the experience rather fascinating. Inland Revenue feels more like a spy agency at times than just another government branch. There are quite a few adjustments to make. First of all, less sleep. Getting up at 6am during the middle of winter is a bit of a struggle for a spoiled brat like me. Secondly, caffeine has become my best friend. Lastly, I’m learning to make better use of my time. Unable to use work internet during breaks will take some…enduring. Still, I feel this is a good opportunity to observe not just the organisational procedures (well, that’s important if I want to keep my job), but the people around. Unlike college, one gets to encounter folks from multiple backgrounds. And yes, we do have interesting work stories, only that we cannot tell you about it. I’m typing this up while praying for snow. Let’s hope the weather forecast will not disappoint. Fingers crossed! Interestingly enough, now that I have started work (yes, me!) and am busier than I have ever been, I’ve gotten more writing done. Upon reflection, I probably had too much free time. Anyway, that’s not we’re here to discuss. The title contains what I would like to call the “Holy Trinity” of society, be it real or fictional. Needless to say, building one from scratch is much more challenging than using an existing template. This was what truly distinguished Lord of the Ring. Based on my (limited) reading, I think fictional societies can be classed as the following. Religious fanatics: I’ve read many fantasies which consisted of at least one group that worshiped something or someone that must be appeased by burning a human being. When it wasn’t burning, it usually involved some other rituals which the Bill of Rights would consider “cruel and unusual punishment”. Primitive tree-huggers: these are the folks who forgo material gains to preserve their land and tradition. They’re usually charitable, pragmatic and will offer spiritual insights to lost strangers from time to time. Again, a popular choice for fantasies. Warmongering nomads: the Aiel is a good representative of this category. These people typically have respect for power and little else. They live by the unspoken laws of honour and blood. Fantasy epics tend to have at least one such society. Vampire pride: okay, not just vampires, but this applies to what I would like to call the non-human societies (sorry if this seems very broad). Authors tend to focus on their differences from mankind and how they interact (if at all) with humans. There are many more of course, but I believe these are the main categories, with some variations. If anyone can alert me to anything I have missed, or point me towards some quality reading for this topic, I would be most grateful. At the moment, I’m researching archaic Chinese architecture and that is slow reading indeed. I begin this post by admitting that English is not my language. There are many advantages and disadvantages to this and the more I write, the more I feel it. 1. Tense: there is no tense in Chinese. I find tense in to be rather silly, confusing, if not illogical. It took me quite a while to get my head around it and I think I still get it wrong at times. 2. Vocabulary: this is tough one. Merely subscribing to word of the day is not enough. Believe it or not, I learned English by copying out words from the dictionary and hammering its spelling into my head. I still do this every now and then. This is probably the biggest obstacle I face. 1. Reading range: being able to read in three different languages has its advantages. It allows me to access many stories presented in different styles. This is surprisingly useful when I run low on material. 2. Style: a study into Thai English literature found that rather than using the language in the same way as other authors to whom English as the first language, they have their own style. The paper described this as “nativised”. I think that this is equally applicable to Chinese. I’ve talked to other Chinese authors about this and they agree in that this “native” English distinguishes their work. That pretty much sums it up for me. I invite anyone to correct my mistakes or add to the post. Okay, so I haven’t gotten much writing done in the last week. Rather, I’ve spent some time watching interviews of a Chinese author. To my surprise, I found the whole thing both educational and entertaining. Above all, it taught me how creative children can be (and how boring adults really are). Truly, such creativity is hard to match. The more you grow up, the further you become to such things. Education, social expectation and self awareness takes away that wonderful gift. Who knows, maybe twenty years ago, I had something similar too. Useful insight for all writers. Last week, I was blessed to attend and teach at the DFW Writers’ Workshop Conference. Edgar-Nominated Author David Corbett taught a really excellent class about building dimensional characters. There was a particular message in his talk that stood out for me. Force your characters to exteriorize. Thoughts and feelings can be taken back. Action makes characters commit to consequences. There is a newbie author mistake we all make. Thinking, feeling, more thinking but nothing happening. I’ve blogged many times that writing can be therapeutic, but it isn’t therapy. I feel that Corbett’s point really crystallized what I was trying to say, but couldn’t seem to articulate nearly as well as he did.